Communications are the most important factor for small and large businesses. The key to maintaining a healthy communications infrastructure and ensuring as little downtime as possible is service. Avatel’s customer satisfaction survey’s for implementation and service consistently achieve an overall satisfaction result of 98 percent and above, these results speak for themselves. We are dedicated to building strong business relationships and are committed to excellence and productivity. Avatel is just a phone call away and available to help you resolve any question, problem, or technology need — before, during, and after implementation. We also meet your ongoing needs with world-class services such as remote diagnostics, problem resolution and on-site technical support. Avatel’s extensive engineering and technical background, combined with years of experience, allows us to provide unsurpassed level of design, installation, maintenance and diagnostic service. We guarantee our technicians and engineers have the appropriate certifications and the technical ability to maintain the quality you demand. Avatel Technologies has a range of professional services to add value to the equipment and solutions we offer. Our expert team of professionals can create a seamless experience for our customers from design thru implementation and maintenance. The added value of using Avatel is our commitment to our customers and their needs. The solution Planning and Design begins by identifying client expectations and helps define anticipated outcomes for the project. By gaining a thorough understanding of Customer’s business strategy, goals, and expectations, Avatel is better positioned to maximize the outcome of the solution deployment. Avatel Technologies Project Managers are experts at managing large and small technology projects and installations, whether in one location or multiple city implementations, whether the equipment is provided by Avatel Technologies or it is equipment you currently own. Avatel Project Management Services help speed implementation – and thus, business benefit realization – by monitoring critical time frames and effectively managing changes to help ensure timely deployment. Project Managers coordinate with Customer’s team to manage implementation requirements and act as a single point-of-contact that coordinates all Avatel technician resources, software resources, or engineers. By managing a comprehensive implementation project schedule and monitoring critical milestones, Project Management makes certain the solution is implemented according to plan and minimizes the risk of delays and additional costs. Avatel Technologies installs complex communications networks across the county, with many flexible and cost-effective programs. For relocation, opening new locations, upgrades to existing systems, and complex technology refresh, Avatel can deliver expert technical installations at an affordable price. Perform a complete inventory of your equipment. Order any additional or missing equipment if necessary. Download all software licenses and right to use permissions. Perform all software and firmware updates. Software translations will be done by assigned Software Specialist. Input all network IP addresses into the system. Burn in the system and run diagnostics to identify any problems. Unpack all equipment and adjuncts. Perform a complete inventory to insure all equipment has arrived. Perform a complete test of all equipment, hardware and software. At this point your new communication system will be up and running and ready for the cutover. This will allow you to access your system on site and make any changes that are necessary. The Avatel team will be on site when your new system goes live – ready to handle any changes necessary to ensure that your new communications solution is working just the way you want it. Avatel will always be available to answer your questions or concerns. Your system is only as good as how it is being used. Avatel wants our customers to be as excited about their communication solution as we are. Our trainers must meet high standards and have proven experience in making a difference for our clients. Avatel Technologies offers application and system training and technical staff training on industry leading communication products and solutions. This training can be at the time of the installation or following the installation. If a company needs additional training to ensure they are getting the most out of their technology investment, Avatel Technologies offers onsite or remote training through our certified technical team. Customers with a knowledgeable staff have fewer problems. Our relationship with the customer doesn’t stop once a system is installed. Involves all employees and managers. Train on new user commands. Eliminates service calls due to user errors. People like to work with people they know and trust. We are experts at building trust over the years with our customers. We specialize in experienced people who understand your system, are familiar with the history, and understand why things are the way they are. We provide you with a dedicated, experienced customer service team that takes the time to know your systems, network, staff and most importantly, your expectations. This familiarity and relationship generates fast and personalized service and each maintenance case is handled efficiently and effectively. We have found that the vast majority of our customer’s technical problems can be resolved over the phone or with a secure remote session. Avatel utilizes many advanced diagnostic tools that provide us with critical information about your systems’ status. In most cases, we can remotely resolve issues and eliminate costly technician visits. If the issue cannot be resolved remotely, we provide options for on-site and emergency support. We believe that there is only one real test of value and that is how well we service and support your systems. That’s why we are always enhancing our service and capabilities to support your service needs. We are constantly striving to provide our customers with the best possible ongoing support of their systems. Our Help Desk offers personal support on issues related to download, installation, usage and much more. Feel free to call Avatel during our normal business hours, and get the answers you need regarding features, functions, expansions, interoperability – virtually any topic that has to do with your communications system. One of our skilled professionals will take the time to understand your requirements, research and provide you with answers. Call as often as necessary. Regardless of what business you may be in, or the size of your organization, your communication systems are the lifeline to customers and vendors alike. Most manufacturers offer warranties, but they can be limited in scope and you may have to wait awhile for repairs. To better meet your needs, we offer expanded and extended warranties on nearly every product we sell. From coast to coast, Avatel’s extended warranties allow you to feel more comfortable that your technology investment is protected and secure. Avatel warranties are designed to optimize the reliability and performance of your communications system. 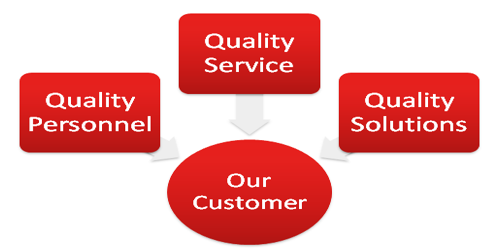 Our commitment is to provide you with the best service and support in the industry. Avatel offers multi-year extended coverage plans that are flexible and can be customized to a company’s needs.